The Stars Are Ours : Allegories of the Tarot Author Interview and Giveaway! 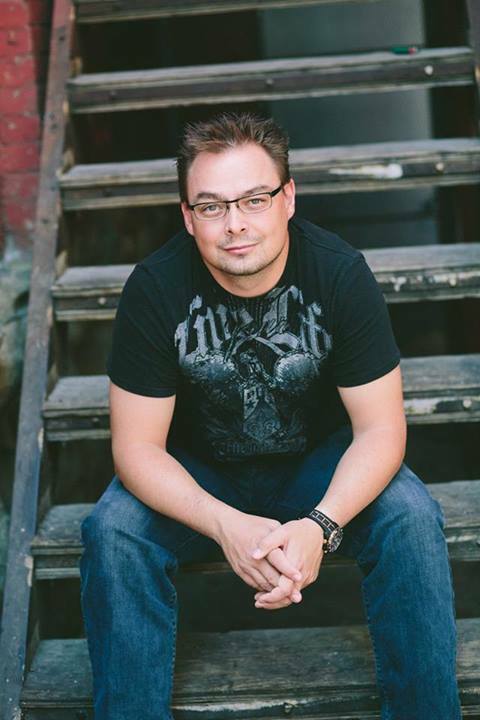 Allegories of the Tarot Author Interview and Giveaway! 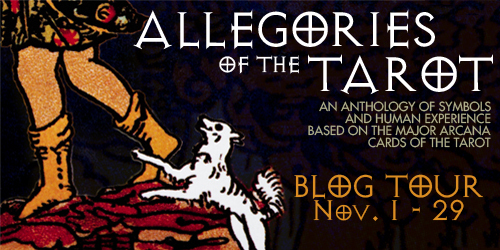 Get the†Allegories of the Tarot†Anthology in on†Amazon,†Smashwords, Kobo, and everywhere else e-books are sold.†Add the†Allegories of the Tarot†Anthology†to your Goodreads to-read shelf! What intrigues you about this particular Tarot card?†Reading through the description and details this statement jumped out: ìThe Hanged Man is a willing victim, someone who has chosen the path of sacrifice to accomplish a higher goal.î It immediately called to me. A character in my first book is the epitome of the Hanged Man. He puts his entire existence at risk for the greater good, to save the world. Why did you decide to get roped into this project? Partly because Annetta bullied me into it but also because it gave me a chance to delve into the sacrifice he made and reveal it for the world to see. Plus it was fun! Have you ever had dealings with the Tarot before? My mother worked with Tarot years ago and I found it fascinating. What other projects do you have planned?†Book two of my Citizen Soldier series. How did you decide what to write about?†Looking through the tarot cards and their meanings, the Hanged Man jumped out at me. It was absolutely perfect for my character Mkai. He's the epitome of self-sacrificing, he put his whole existence at risk to save the world. How literal did you want to get with your card?†I wasn't sure how literal I would be able to get - as it turns out it's a very broad definition. Or at least that's how it feels to me. Is your story a part of something you've written about previously?†The story I contributed to the anthology is based on a series I'm currently working on, Citizen Soldier. I published book one, In Heaven's Shadow, in may 2013. Path of Sacrifice gives some background to, the lead up to book one. Would you like to have written about any other card? Which card? Why?†Honestly I'm not sure which other card I could have worked with, I don't think any would have felt as perfect as this one. From what I understand, each author picked a unique card, all of us, no one choose the same card. Fate you could say delivered the cards best suited for each of us. If you could have the power to divine the future, would you or would you not and why?†If I could know or read the future.. hmmmm In the broadest strokes maybe. I think I would rather not though. I'm a firm believer that everything happens for the reason, even if that reason sometimes takes time to find. I guess knowing large scale things like if the zombie apocalypse ever happens etc - things like that - so I'd know whether to keep preparing for it or not LOL. He licked his lips nervously, the forked tip appearing for a flash before disappearing behind jagged fangs. †Sweat beaded on scaled skin as Fsol fidgeted in his seat before sliding to the edge to lean even closer to Mkai. "She is planning war. †War with Heaven. †She is determined to succeed where Samael failed." Mkai's heart thudded hard in his chest as he fell back in his chair. "War with Heaven? †Is she insane?" he said, instinct keeping his voice low as he spoke words of treason. "Samael didn't even war directly and look at the result. †Even those, like us, who didn't side directly with him were thrown from His Grace. †What does she hope to accomplish?" "That is what sent me running here old friend." Fsol said, excitement stealing over his face. "She has a plan, and I think it might work." Samael had a plan as well. "What's her plan? †How does she expect to succeed where Samael failed so drastically?" "The souls. †She will build an army of the Damned and with them, invade Heaven. †She will tear down the Gates of Heaven and bring us unto His Light, with the souls of His favorites to lead the way." Read the rest of Path of Sacrifice†in the Allegories of the Tarot Anthology! Once upon a time, there was an editor with a fascination for the Tarot. She was struck one day by a crazy idea. ìHey,î she said. ìWhat if twenty-two writers each wrote a story about the twenty-two cards of the Major Arcana of the Tarot and were fashioned into an anthology?î The idea would not leave her alone. And thus, the Allegories of the Tarot was born. Crowdfunded by a campaign on Indiegogo with the help and support of an amazing group of writers, twenty-two stories were crafted around the mysteries of the Tarot. The group includes a Pushcart Prize nominee, a Pulp Ark nominee, a former Bigfoot researcher, a journalist, an award-winning YA author, and a Rhysling Award winner. Professional writers, new talent, and a range of genres boggling the mind: Horror, Speculative Fiction, Bizarro Fiction, Erotica, Mystery, Humor, Paranormal, Epic Fantasy, Literary, Romance, and Historical Fantasy. What has emerged is an outstanding collection of fiction, unique and mysterious. Stories that will make you cry, make you laugh, and make you think. Stories that make you feel the touch of the Universe. Dare to step through the portal to shadowy realms and emotional journeys. Allegories of the Tarot†is available in e-book and paperback format†on Amazon, Kobo, and in multiple e-book formats†on Smashwords. Donít forget to†add†Allegories of the Tarot†to your to-read shelf on Goodreads. Connect with the†Allegories of the Tarot†Anthology on its†website,†Facebook, and†Twitter.